There are three key events in people’s lives – birth, marriage and death – often called the standard trio. For the most part, however, only marriage comes as a choice among these events. Every individual has a right to exercise that choice. Throughout the world, marriage is regarded as a moment of celebration and a milestone in adult life. However, it is alarming that quite a significant number of young girls, and a smaller number of boys, enter into marriage without any chance of exercising their right to choose. Harmful practices against the girls of Zimbabwe, and in fact even to the boys, albeit to a lesser extent is slowly eating away at our moral fibre, our moral uprightness! A report produced by the Research and Advocacy Unit (RAU) in 2014 predicted that if present trends continue, 142 million girls worldwide will marry before they reach the age of 18 over a 10-year forecast horizon (2015 to 2025). This translates to an estimated 38 000 young girls marrying every day worldwide! Staggering! In Zimbabwe, a Multiple Indicator Cluster Survey (MICS) produced in 2014 revealed that of the women aged 20-49 who have ever married, 33 percent were married before their 18th birthday. The phenomenon is more common among rural girls, with 40 percent having been married before their 18th birthday. Child marriage is both a cause and a consequence of poverty. On one hand, child marriage causes poverty by disrupting schooling and consequently reducing employment opportunities. A report by RAU (2014) revealed that girls who marry before the age of 18 are 50 percent more likely to drop out of high school and four times less likely to graduate from college. On the other hand, adolescent mothers are highly likely to have poor health due to biological constraints which reduces their productivity and participation in the labour market. Early marriage coupled with dropping out of school and poor health reduces job prospects for the teens and also perpetuates exclusion and dependency, exposure to violence, and thereby exacerbating poverty. On the other hand, poverty is one of the factors perpetuating child marriage whereby women marry early or are married off early as a coping mechanism against poverty. Evidence shows that children from poor families are highly likely to marry early compared to those from rich families. MICS 2014 revealed that among married women aged 15-49, a higher proportion of those in the poorer households (7,1 percent) married before the age of 15 than those in the richest wealth quintile (1,7 percent). Even though we may be poor, we should surely maintain our dignity! The two-way interplay between child marriage and poverty suggests the need for a holistic approach that addresses both issues simultaneously. With the Sustainable Development Goals (SDGs) stressing the need to reduce poverty in all its forms by 2030, it is imperative that the nation deals decisively with child marriage as one of the drivers of poverty. Indisputably, child marriage results in a great loss to society given the substantial economic returns to schooling. A Zimbabwe Youth Investment Case Study report produced in 2016 revealed that the wage rate for each child enrolled in primary school increases by 9 percent per year (so they earn $183 by Grade 7) and by 14 percent per year enrolled in secondary education. Keeping girls in school also has advantages for their health, for instance, Save the Children (2005) noted that every extra year that children spend in school lowers the risk of subsequent child mortality by 8 percent. Therefore, to the extent that marrying early results in dropping out of school, society suffers through increased mortality. Combined, child marriage, dropping out of school and poor health in the form of increased mortality, escalates poverty levels. In conclusion, a variety of policy and programmatic actions are needed to reduce child marriage and its far-reaching adverse consequences. It is fundamental for families and societies at large to change their attitudes on early marriage and rather extend opportunities for childhood learning and education by keeping girls in school for a couple of more years. The role of Government and civil society institutions, and indeed all of us, is to develop and implement suitable systems to prevent or discourage this despicable practice. 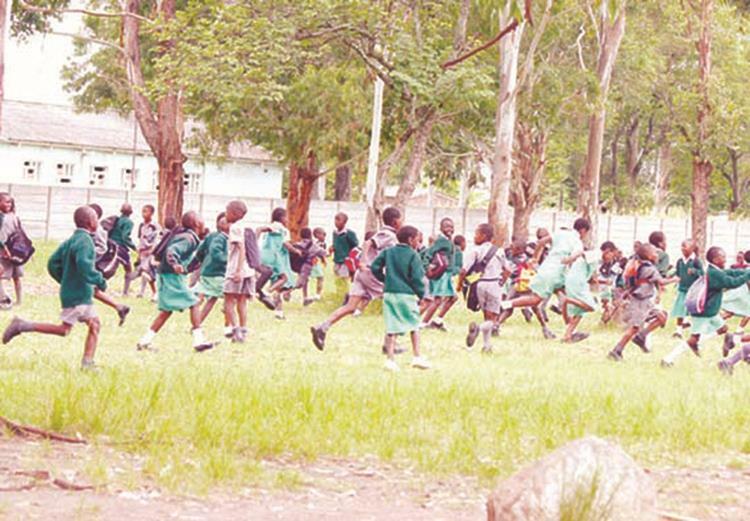 The question arises, what sort of global citizens will Zimbabwe’s children be when they become adults? The answer begins with the choices we make today. If child marriage is not stopped, it will be too late for Zimbabwe to take full advantage of its demographic transition in the coming decades.